This week-long retreat is my favorite of all the teaching things I do! In fact, the May 2019 workshop will be my eighth (?!) 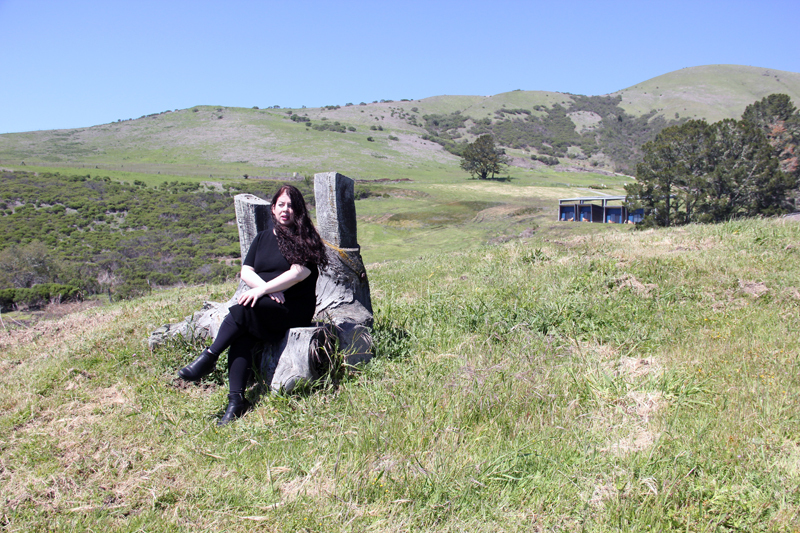 workshop-retreat at the Djerassi Program… because I love it so much, and no matter how busy I am, I keep going back. Now I’m seeking up to 10 new wonderful YA writers to join me in May 2019. A fiction workshop tailored for writers working on YA novels of any style and genre, featuring daily critique sessions, themed writing prompts, and time to retreat and produce new work. Includes 75 pages (25 for group critique; 50 in one-hour private conference) of manuscript review. Applicants accepted pending review of statement and writing sample by Nova Ren Suma. This workshop takes place at the Djerassi Resident Artists Program, an artist colony in Woodside, California. Includes 6 nights lodging, all food, and local transportation from and to the San Francisco Airport. Details can be found on the Djerassi Program website. Here’s a direct link to the application in Slideroom. A short statement about what you hope to gain from this workshop and what writing experience and classes you have taken before, if any. A writing sample of young adult fiction of no more than 15 pages. This does not need to be the manuscript you will be submitting for workshop. Be sure to check out the FAQ on my website for a series of frequently asked questions and answers that may help you prepare your application. You are always welcome to email me privately with any questions, too. The application deadline is Monday, December 3. I can’t wait to see who will join me this year. Will it be you?